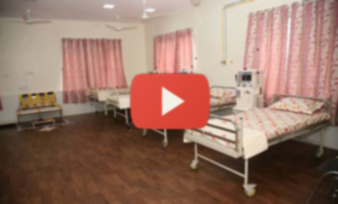 The main objective of the hospital is to "Provide Quality Care at Affordable Cost". Started as a dialysis centre, the hospital has grown to become a multi-specialty hospital. As on June 2013, Rangadore Memorial Hospital has more than 130 beds including daycare with General, Semi Special, Special and Deluxe Wards, a Dialysis Division, Labour Ward, Casualty, Intensive Care Unit and a Neonatal Intensive Care Unit. The hospital caters to around 5,000 outpatients per month and 800 inpatients per month. The total numbers of deliveries are around 100/month. With four major operation theatres with state of the art medical equipment, we conduct around 200 major surgeries per month. The hospital has an eight bed ICU with latest state of the art equipment, and well trained staff and an Intensivist.The dialysis section houses 38 machines & more than 2,200 dialysis are performed every month & charge the lowest fee for dialysis. The OBG Department handles many high risk pregnancies and has a tie up with BBMP to reduce the maternal and infant mortality rate by treating patients who need advanced care at low cost. RMH also runs a Well Women clinic & other specialty clinics. Antenatal yoga classes also conducted. The Neonatal intensive care unit (NICU) at Rangadore Hospital started with the support of the Rotary Club. Separate Pediatric Medical Chemotherapy unit with the latest equipment started with the help of Rotary Club. Rotary Midtown helped RMH in initiating Cardiac OPD wing has TMT, ECHO & ECG facilities with 3 cardiologists supporting the unit.